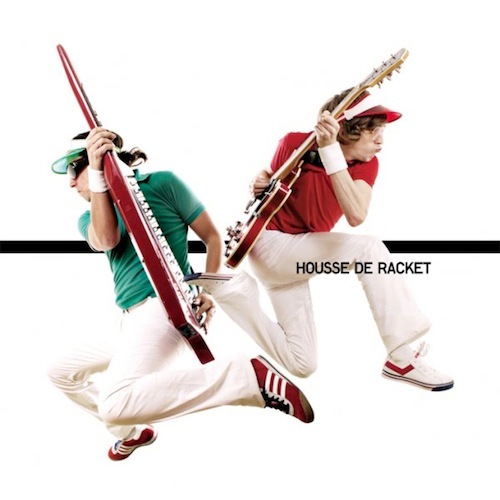 After the success of their debut album Forty Love, which included the hit single “Oh Yeah!”, Housse de Racket spent a fair amout of time touring Europe in front of a growing fan base. It took them a while to get back in the studio and work on new material but the wait was worth it! The synth rock duo recently announced the imminent release of their sophomore album Alesia on hip Parisian label Kitsune (also home to Delphic, Logo, Is Tropical). For their new record, which will hit the stores on August 22, they worked with French superstar producer Philippe Zdar (Cassius, Phoenix, The Rapture…) on eleven futuristic pop songs, with a wide range of influences from Morricone to Carpenter and Bowie. Ahead of the release, Housse de Racket have decided to tease us a little with a free download taken off the album. Supremely melodic and atmospheric, “Roman” leaps out of the speakers and is just one of the many glorious pop moments on this dazzling new album !